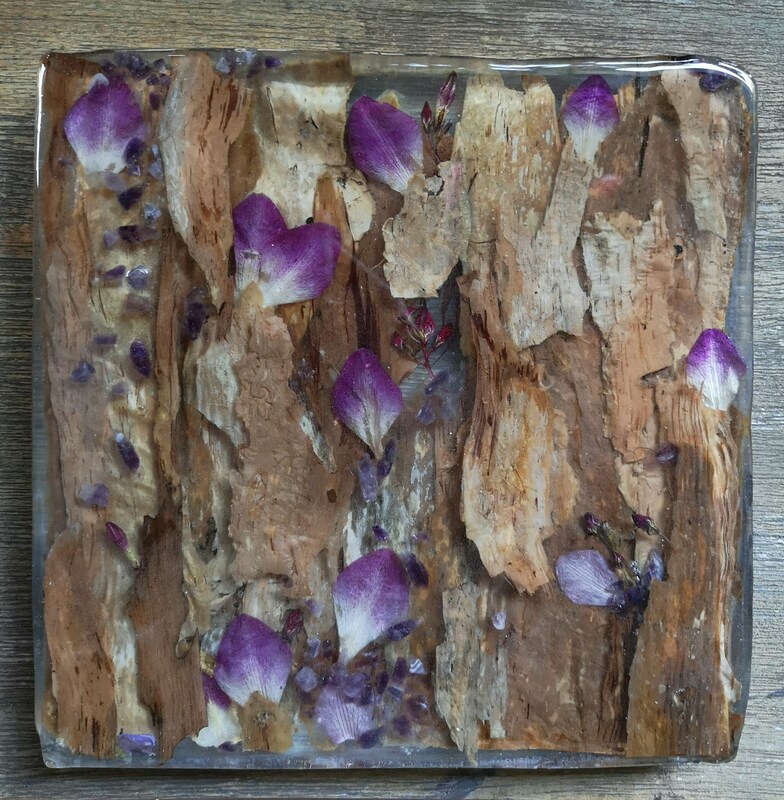 I made this unique table centrepiece using some beautiful bark from the paper bark trees along Riding Road in Balmoral, along with petals from orchids I brought home from Singapore in 2018 and dried. also in this piece are small amethyst chips, and some oleander buds from the lovely trees on Hawthorne Park. 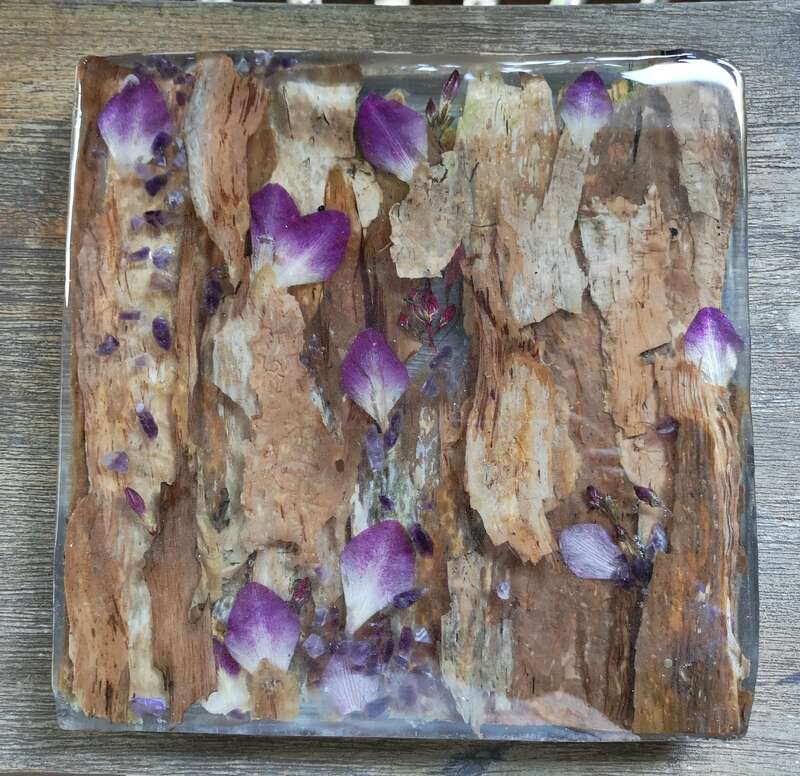 Embedding the bark, flowers and stones in food safe resin, this piece is intended as either a decorative cheeseboard or a table centrepiece. It would also look great as a feature for your table or just leaning against the kitchen splashback. 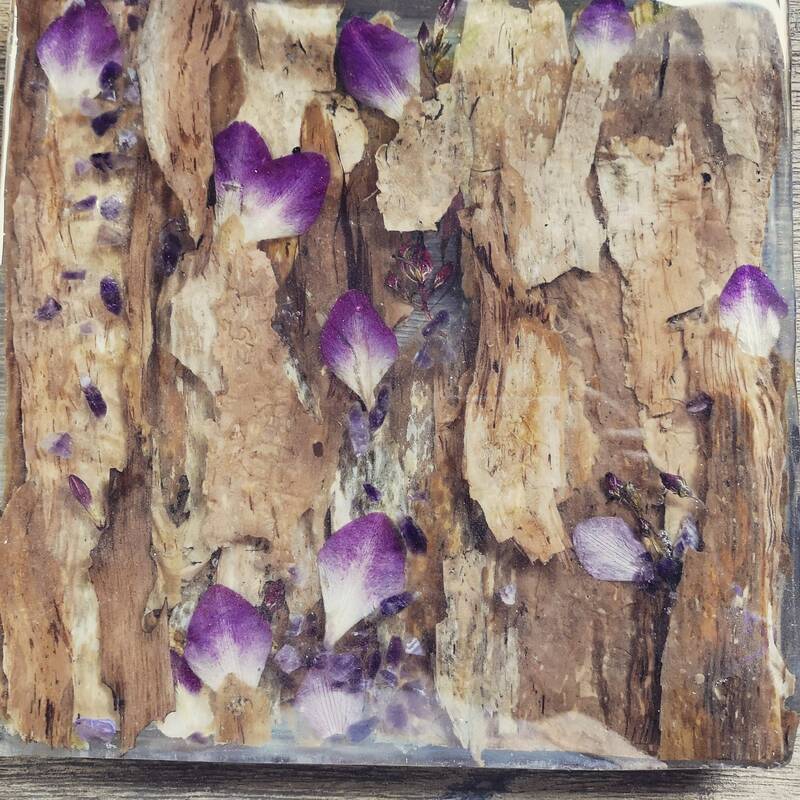 It could also be used in the bathroom as a platform for your favourite soaps or a candle. 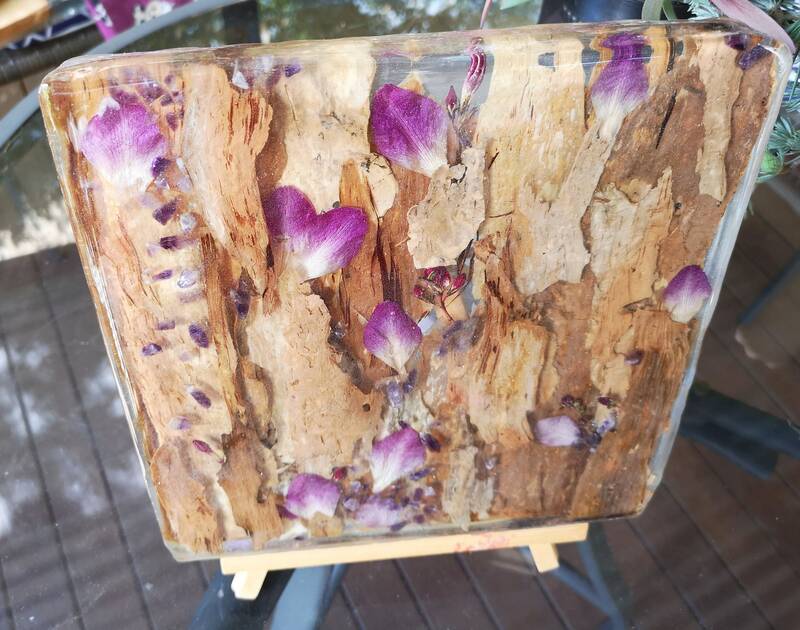 This is a one-off piece, however I will be making a matching coffee table in the next month or so, using this glorious paper bark, flowers and perhaps some rose quartz from India.